I received the products mentioned below complimentary from BzzAgent in return for my honest thoughts and opinions. I only write about products that I have personally used and/or believe will benefit my readers. All opinions are my own and are never influenced by any amount of compensation. While I have been waiting on the warmer weather for quiet a while now, the return of all the bugs, has already got me dreading the upcoming months. Apparently the neighborhood I live in was built on top of whole village of ants and they attack when ever they see fit. 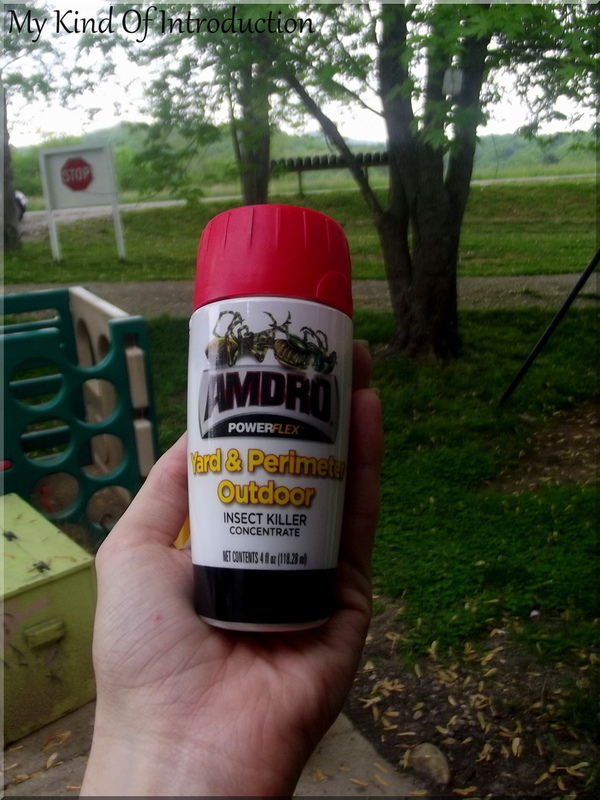 I wasn't about to miss the opportunity to test out AMDRO Powerflex Pest & Weed System from BzzAgent and kick all those ants out of my house! 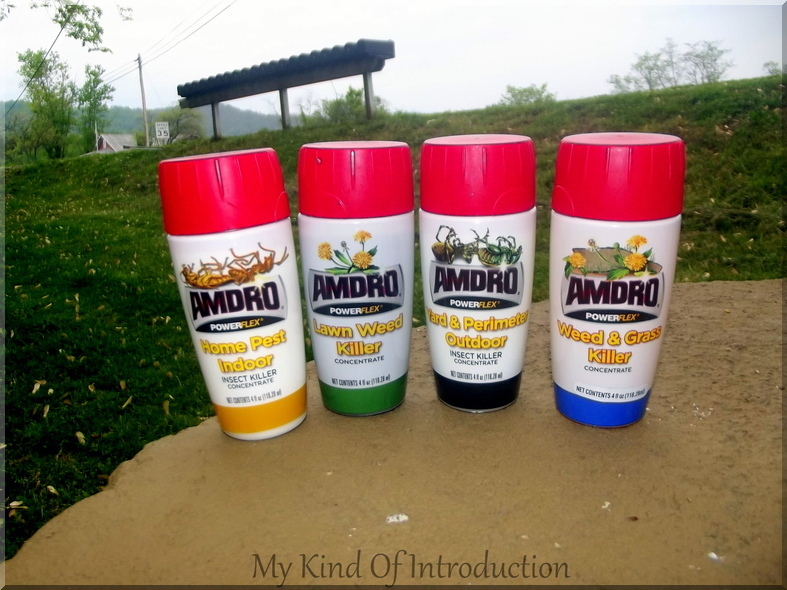 What is the AMDRO Powerflex Pest & Weed System? The AMDRO® PowerFlex® Pest & Weed System is a true all-in-one solution -- you can take AMDRO® PowerFlex® system from your lawn to your home in seconds to kill bugs and weeds. Just fill your tank with water and attach any of the 4 AMDRO® cartridges to the system’s battery-powered sprayer. The adjustable sprayer automatically combines concentrate from the cartridge with water from the tank, so you get perfectly combined solution every time, with no wasted water or concentrate. And when the job's done, cleanup and storage is super easy. Simply remove the cartridge, press and hold the trigger for 10 seconds (to flush the sprayer with water from the tank) and snap the partially used cartridge into the convenient storage area on the back of the system! 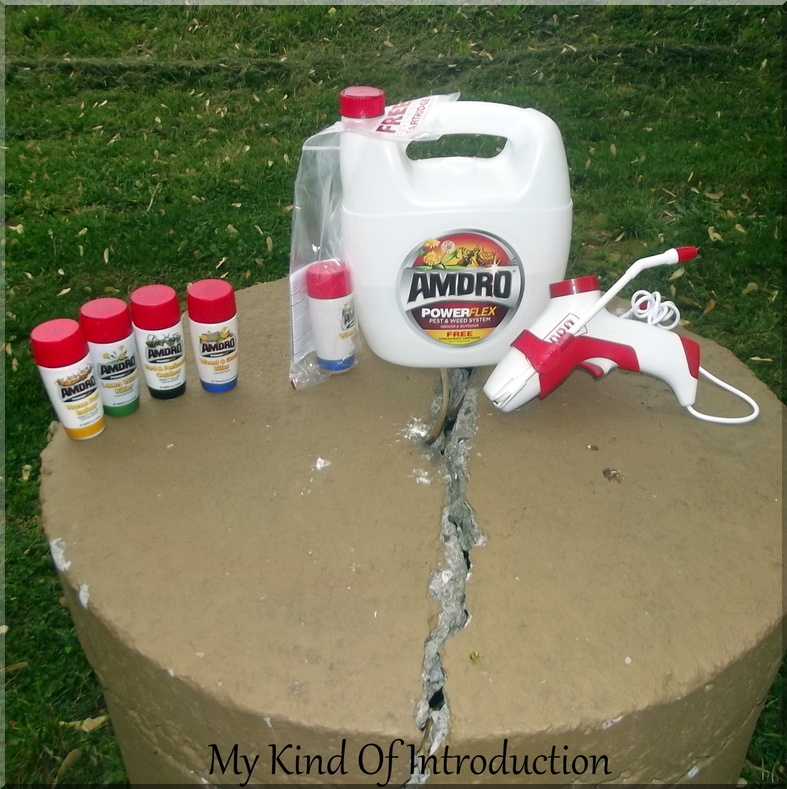 "I couldn't believe how well the AMDRO® PowerFlex® Pest & Weed System worked when Autumn let me use it to spray the inside of my house for annoying and unwanted bugs. They were dropping as quick as I was spraying. I was also surprised to see how little of the concentrate I had used after the job was done this stuff is great!" A man who lives below me is starting his own Landscaping company, used the Weed Concentrate in his own yard a few weeks ago. The weeds are gone and he couldn't believe that they haven't grown back yet. The results of this new system is truly amazing! 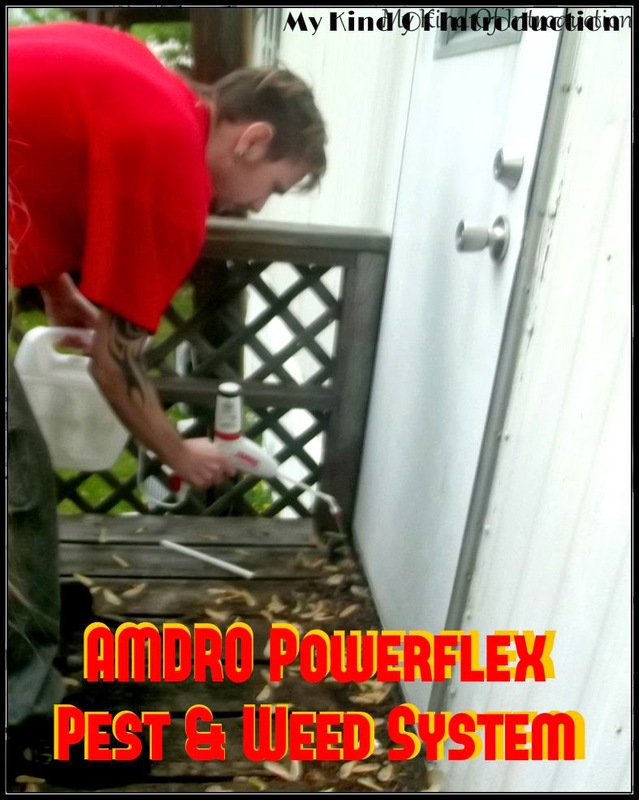 If your looking for an easier way to remove pests and weeds from your garden and home, the AMDRO® PowerFlex® Pest & Weed System is a great choice. It kills bugs and weeds fast and keeps them away!